Mike Ullery | Daily Call Firefighters from several area departments work at the scene of a chimney fire on Miami-Shelby Road on Monday evening. 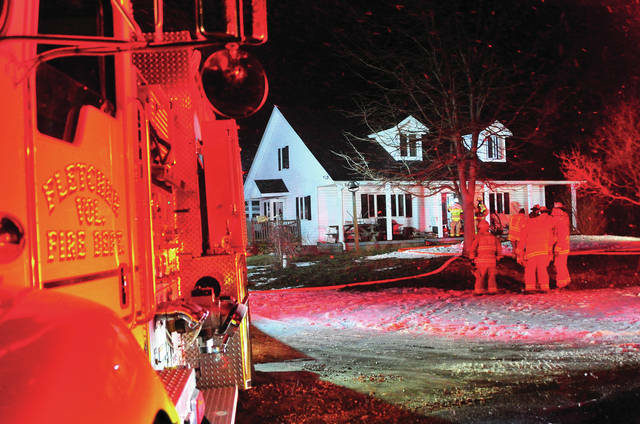 BROWN TOWNSHIP — A reported structure fire sent units from multiple agencies in response on Monday evening. Fletcher Volunteer Fire Department was dispatched to a resident on Miami-Shelby Road just after 8 p.m. First arriving units reported smoke coming from the single-family home. Mutual aide was requested from Casstown and Lockington with a medic responding from Johnson/St. Paris. The fire was confined to the chimney area and quickly put out. The home did sustain smoke damage. All assisting fire departments were released from the scene by 9:45 p.m. Fletcher units remained on the scene to continue ventilation of the structure. The American Red Cross was contacted to assist the family. No cause or damage estimate has been released. There were no reported injuries. https://www.dailycall.com/wp-content/uploads/sites/30/2019/01/web1_012819mju_fire_miamishelby.jpgMike Ullery | Daily Call Firefighters from several area departments work at the scene of a chimney fire on Miami-Shelby Road on Monday evening.